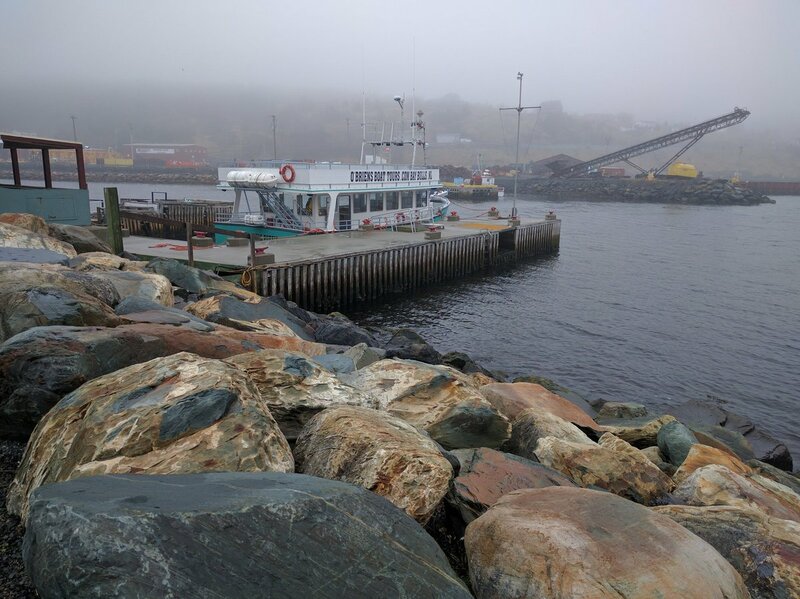 When we visited St. John’s, Newfoundland, we did the O’Brien’s Boat Tours. 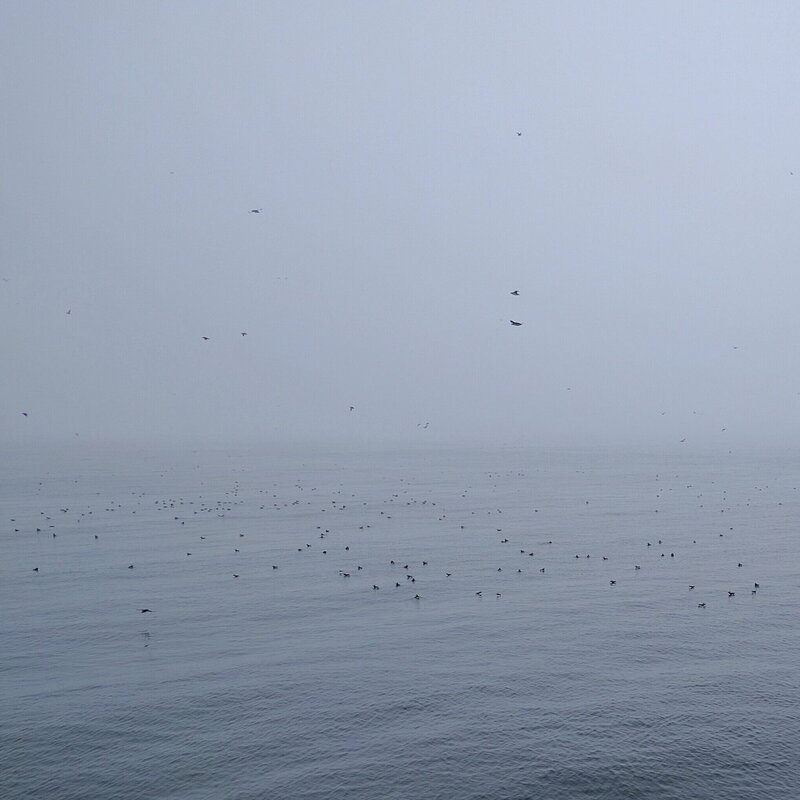 This was a fun tour of sightseeing and bird watching… and if you’re lucky, whale watching. It was very foggy that morning when we did the tour. It didn’t become sunny until 30-40 minutes before tour ends. It was a shame since it was harder to take photos and animals would be less likely available in the fog. We didn’t see any whales in our tour, which was sort of disappointing to me, but it’s nature’s luck of the draw. May is very early in the season for Whales and based on O’Brien’s 32 years experience the best time for whale watching is during the month of July. You may also reschedule the tour in case you find the weather for your scheduled tour is not good. I wish kinda wish we did that. The crew was all so friendly. Justin, the tour guide, is very knowledgeable about the area and the various animals. He can pinpoint what bird is flying and how to differentiate between murres, puffins and other birds in the area based on color, flight and beaks even from afar! He also has a great voice since he sang two Newfoundland songs that are related to the tour! So fun! You can take photos with the captain. And he was friendly to actually come by and tell us to take a captain’s seat photo and explained some of the controls in the boat. We went to Gull Island and Green Island. Based on the photos I took, the puffins were more prominent in the Gull Island and murres dominated the Green Island. I can’t believe how many birds there were. It’s probably the most concentrated groups of birds I’ve seen ever. One thing I was disappointed about is that I wasn’t able to get a photo up-close. My initial impression was we were able to get down the island to see the Puffins up-close. But this wasn’t the case. We were too far away to get a close-up shot that only a DSLR camera with a zoom lens can take a good shot. 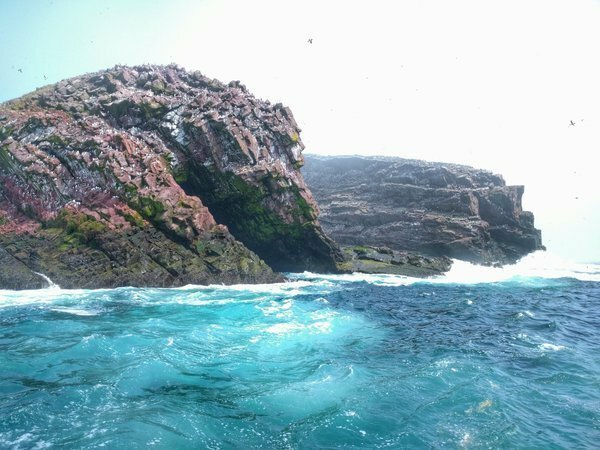 There are a lot of beautiful nature to be seen in this tour as you cruise around Witless Bay Ecological Reserve. Be sure your camera is fully charged! Disclaimer: Although this was a sponsored tour with O’Brien’s, the opinions expressed here represent my own and not those of the company’s. Posted on May 23, 2016 by Travelling FoodiePosted in Canada, Newfoundland and Labrador, St. John's, TravelTagged nature, tours.